On January 26 at 10.30 am, Kesavan, dressed in a checked shirt and white veshti, is taking us on his bike to Melmugam Panchayat. “Akka what are you still doing here? Aren’t you coming?” he calls out to a woman standing outside her house with a vessel in her hand, as he rides down the bumpy, narrow dirt track. Kesavan, a 27-year-old farmer who hails from Mallasamudram, a town in Tamil Nadu’s Namakkal district, tells us about the day’s agenda. “We will go through the financials from last meeting. Then talk about other governance issues including the plastic ban,” he shouts above the sound of his bike’s motor. At 11.00 am, Kesavan and a few others wait around a peepal tree, on whose roots rests a stone idol of Ganesha. A small crowd gathers. A couple of men spread blue and white tarpaulin sheets on the ground facing a cloth banner tied across an iron fence, that reads “Namakkal District, Mallasamudiram Panchayat Union, Gram Sabha, Melmugam Panchayat”. And thus, 2019’s very first Gram Sabha begins at Mallasamudhram Panchayat Union. Earlier that morning, Kesavan had informed us of the meeting’s importance. “In our panchayat, the Gram Sabha has been happening regularly only since last year. Prior to that no one had any awareness that it was their right to participate. They were never even informed when and where it’d take place, which was usually in the Panchayat office just for the sake of records,” he explains. People on both sides try to ease the situation. The Nodal officer leaves with his photograph and the session resumes. The issue of cell phone towers comes up, as does the discussion on preventing new ones from being erected in the area. People in the back murmur amongst each other about their adverse effects, like killing birds. Are they discussing this after watching Rajinikanth’s 2.0, we ask. One man grins sheepishly and says that these towers are bad for human health too. “Moreover we have enough connectivity as it is,” he points out. People also talk about reducing and reusing plastics, and to strictly follow state government’s ban. “Let’s also take an oath during this sabha that we will be an example Panchayat for having implemented the plastic ban fully,” Kesavan urges his people. “We should also use our water resource judiciously,” he adds. 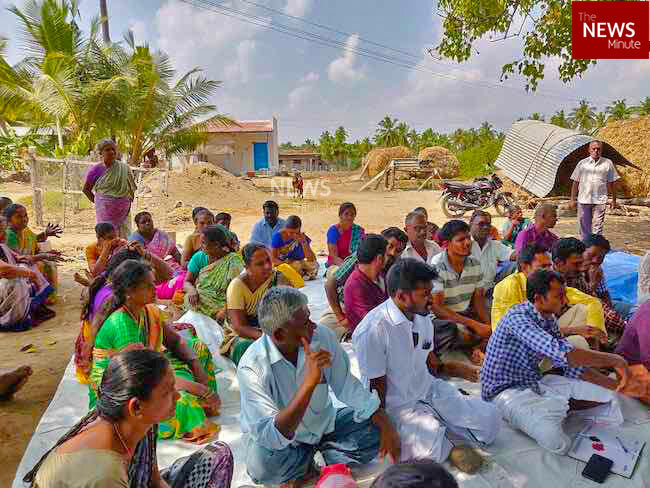 The participative democracy in Kesavan’s Panchayat is a result of a campaign by Thannatchi, a registered civil society organisation that promotes self-governance. S Nandhakumar, who led the campaign, tells TNM that the movement began just a year ago. He is also a fellow at Ashoka, an NGO which nurtures social entrepreneurs. He experienced his first village panchayat at Kuthambakkam in Tiruvallur district two years ago, which left a huge impact on him. As a result, he and five like-minded people – Ariwarasan, Sivakumar, Saravanan, Ramesh and Zakir Hussain – formed Thannatchi in 2017. The team then campaigned for about month from July 15, 2017 to August 15, 2017 in different Panchayats around the state on how to conduct Gram Sabha and the importance of it. Nandhakumar says that the movement was inspired by activist and Kuthambakkam Panchayat President Rangaswamy Illango, who encouraged local self-governance, and created a model Panchayat in Kuthambakkam. “I began posting about Gram Sabhas on Facebook. Many interested youngsters messaged me with queries, so we decided to take it forward as a movement. Earlier, not one Panchayat had a proper Gram Sabha meetings as mandated by the law,” he shares. What started as a very small movement, saw over 500 Panchayats across the state conduct the first of 2019’s Gram Sabha on January 26. “Tamil Nadu has a total of 12,524 Panchayat Unions. We believe that if even 500 of them have proper Gram Sabha meetings, it will make a difference,” he says. Nandhakumar shares that over 600 young volunteers have now pledged to conduct regular sabha meetings in their respective Panchayats. Talking about the challenges, Nandhakumar notes that the officers in charge of conducting such meetings are not culturally trained to listen to people. “Now that Tamil Nadu has not had local body elections in the past few years, we are not able to reflect on it politically either. The special officers appointed for this purpose have to be pushed into action sometimes. We only request them to follow what has been mandated by the law, nothing more,” he states. “Further, politicians and government officials are no match for the local volunteers who are equipped with better communication platforms like WhatsApp, better organised and much more focused,” he adds with a smile. Apart from discussing civic issues of importance, many Gram Sabhas have become spaces to push caste boundaries. “In one village, I know of a young, smart boy who initially hesitated to present his agenda in front of the crowd as he was a Dalit. He felt his opinions may be interpreted differently by the others due to his caste. But 3-4 Gram Sabhas later, I hear that he presented his agenda during a meeting and people came to him for suggestions,” Nandhakumar narrates. 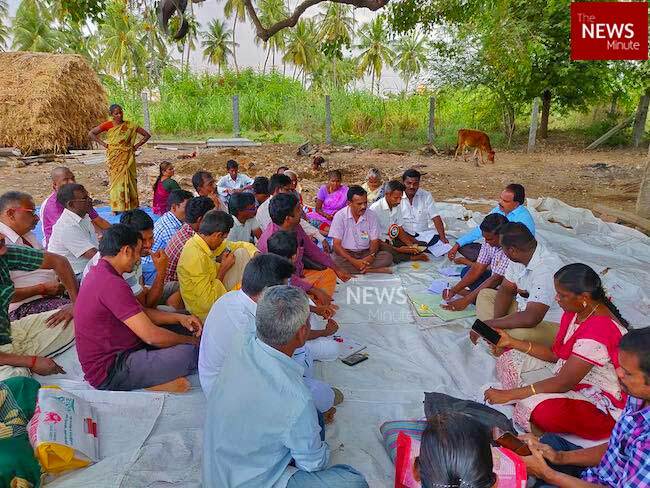 Apart from Thannatchi, many NGOs like Ekam foundation, Inba Seva Sangam, Anti-Corruption Foundation, Puvidham and many others are actively involved in organising and executing Gram Sabha’s in Panchayat Unions across Tamil Nadu. The situation looks quite hopeful, notes Nandhakumar. “When young boys and men come forward with an agenda and urge the officials into action, the results are better. These youngsters have no political affiliations. We are seeing positive results and improvement,” he says.